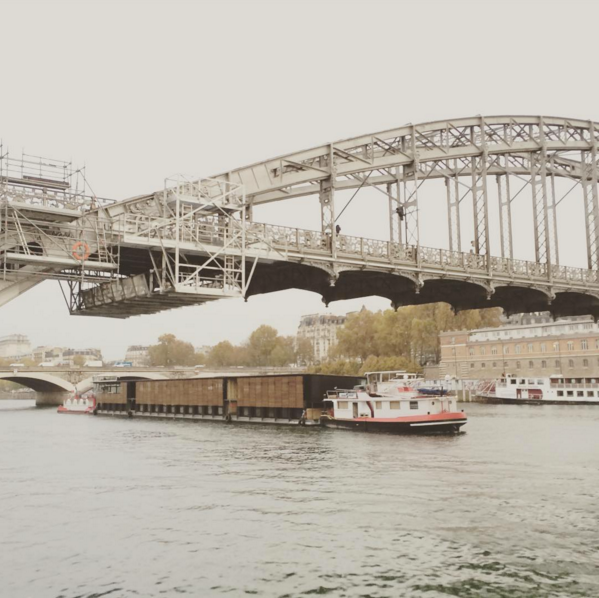 On June 23rd Paris opened it’s first floating hotel located on the river Seine, near the Pont Charles de Gaulle. Above you can see how the €11 million floating hotel – constructed in Normandy – is being towed down the river from Rouen to it’s current location. The hotel is realised by Citysurfing, their website offers an interesting overview of the history of the project. If you want to know how what the hotel looks like today, check out this photo gallery. If you’re heading up there, we would love to see pictures on how the light reflects the water during the day. And of course get to know more on how sustainable the design is. Merci!